Whether it's about a disco dancing French legionnaire, underworld organ trafficking or vampires, Claire Denis's enigmatic films have been enrapturing cinephiles around the world since her debut feature Chocolat (1988). 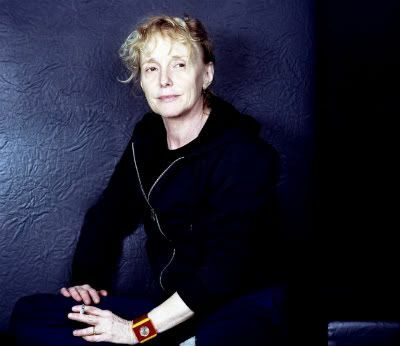 With her thrilling new film White Material opening statewide on November 19th, and the retrospective- No Fear: The Films of Claire Denis at IFC starting this week, I sat down with Denis for a brief interview. She was very personable and gracious, offering long and thoughtful responses. It's been 22 years since Chocolat and more than 10 years since Beau Travail, what prompted you to shoot a film in Africa again? A while ago, Isabelle (Huppert) mentioned if I would be interested in adapting Doris Lessing's book The Grass is Singing. The book is set in South Africa right after the WWII. It's about Lessing's British ex-pat parents trying their hands in farming which they were terrible at. But even though it's a great book, there were two reasons why I didn't want to do it. First, the book already had a big influence on me making Chocolat. Secondly, I didn't want to do a period film. I don't like the typical nostalgic notion of colonial era- beautiful landscapes, exotic animals, heat, et cetera. I also didn't think it would be fair to show a colonial South Africa after all they've been through- 50 years of apartheid and election of the president Mandela and all. I wanted to make a film about 'now'. White Material seems like a whole another world though. It feels timeless, not attached to any time period. But it's not the 30s anymore. Surely you noticed the Chinese motorbike! (laughs). Those motorbikes are everywhere in Cameroon. Then there are those old beat up trucks, but it's mainly because they are poor. I would say the film is set somewhere in the last 10 years or so. Has it changed a lot since Chocolat, shooting in Cameroon? Yes. I think it's modern in a way other parts of Africa are modernized. But in rural farming areas, in French countryside even, everyday life is not so easy. It's not because the modernity is coming slowly, but because of the economical hardships. When I was making Chocolat, we were pretty much blind to the economic crises in Africa. Now we all live in the global recession, we see the blow is twice as hard there. The famed French author Marie Ndiaye co-wrote the script with you. Can you tell me the process? I've been admiring her work since her very first book (*Quant au Riche Avenir, written when she was only 17). We've been corresponding for a while because we both were intrigued by each other's work. When Isabelle told me about the project, naturally I contacted Marie. We took a trip to a coffee plantation in Ghana together to see what it's like. Since she had never written a film script before, she didn't have any bad inhibition that comes with the pitfalls of bad scriptwriting. She was very open. It was great. 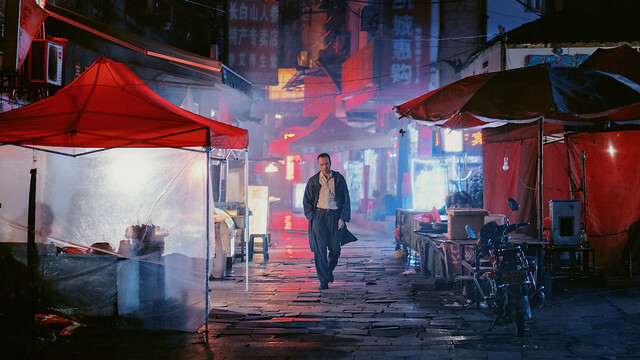 The White Material seems much more narrative driven than your previous films. Do you feel that way? Yes. After The Intruder (2004), I was driven by the idea of doing something not too mysterious but more concrete. Both this film and 35 Shots of Rum are very straightforward. The idea of heart transplant in The Intruder was both naïve and abstract in a way. Just like the old man in the film, it made me think of my own mortality. Then during editing that film, my producer (Humbert Balsan) died. I actually thought that it would be my last film and I would die myself. I wasn't afraid, but I felt that I'd never be able to make a film like that twice. It was a real turning point for me. Wow, I didn't know about that. But I'm sure it's not uncommon that other filmmakers feel like that too sometimes, that the film they are making right now would be their last. It was Isabelle and others who encouraged me to make films again. I did dedicate 35 Shots of Rum to Humbert. One thing that struck me in the White Material was the son character, Manuel (played memorably by Nicolas Duvauchelle). He is a country-less product of the white colonialists who are losing power. He's described as 'half baked'. Tell me if I'm reading it too deep, but is there a parallel between Manuel and recent violent upheaval in French society? Oh no. For me and Marie, it was much more concrete and simple. As a mother you don't want your son to be 'soft'. I was like that when I was that age. I would've rather laid on the couch and sleep all day. I think it's more conventional 'mother wanting her son to be a man'. The Lamest. Motorcycle Gang. Ever.